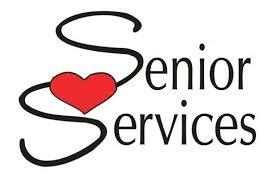 Welcome to our Senior Services Page. Hartland Senior Activity Center: Promoting happy, healthy and independent living for adults 50 and over. From transportation, to resource advocacy, to health and wellness programs; we have a well-rounded center that can support our senior members as they age in place. Come see what we're all about! Our drivers are on the road Monday - Friday driving seniors and individuals with special needs to medical appointments, therapy, grocery stores, pharmacies and to the Center. This program is made possible with a grant from Michigan Department of Transportation, Livingston County United Way, Hartland, Tyrone, Oceola, Deerfield townships, Hartland Consolidated Schools and fees collected from our riders. If you or anyone you know needs transportation please call 810-626-2135 for more information or to arrange a ride. You must live in our service area which includes the Hartland School District and Tyrone, Oceola, Hartland, Brighton and Deerfield townships. A 16-passenger, lift equipped bus and driver, are available four days a week to older adults and residents with disabilities. Transportation is also available for medical appointments to the surrounding counties. Our drivers will assist individuals to and from the house. We also have a four-door sedan available for transportation purposes. $1.50 each way in service area (see above for detailed areas). $1.00 for extra for each additional stop. $3.00 each way in Brighton, Howell, Fenton and Milford. Hartland Senior Activity Center is committed to ensuring that no person is excluded from participation in, or denied the benefits of its transit services on the basis of race, color, or national origin, as protected by Title VI in Federal Transit Administration (FTA) Circular 4702.1.A. If you feel you are being denied participation in or being denied benefits of the transit services provided by Hartland Senior Activity Center, or otherwise being discriminated against, please contact Kim Konarski, Hearing Officer at Hartland Senior Center, 9525 Highland Rd., Howell, MI 48843.
origin in programs and activities receiving Federal financial assistance. These services may be subject to change, therefore, you should check with your individual health care provider. Gleaners has some openings for food boxes once a month If your income is $1,210/month ($1639 for two people) or lower, call Carol at 810-626-2139. Food boxes contain such items as laundry detergent, toilet paper, canned goods, rice, pasta, cheese, juice, etc. and can help reduce your grocery bill. If you are new to Medicare or have any questions regarding Medicare, contact Carol Ringle (810-626-2139) to set up an appointment. Carol is a certified Medicare/Medicaid Counselor and does not work for an insurance company. Dial 211 on your phone and the 211 operator will schedule a morning or afternoon flu shot appt. 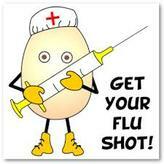 Flu Shots at HSC - Each Fall we work with U of M to provide shots on site. We have appointments available at 10am, 11am, 12pm, 1pm. Call for this year's Flu Shot Clinic Date. Health Screening Clinics - Check the monthly calendar for listings. The calendar is located under "Activities". Michigan State Police – Brighton Post. The Hartland Senior Center does not take any medications for disposal. Contact the Livingston County Sheriff’s Office for the location nearest to you. 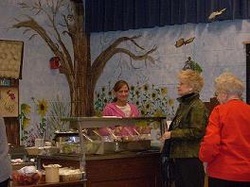 Soup and Salad Bar - The LCSNP operates a soup and salad bar daily from 11:30 a.m. - 12:30 pm. The cost is $5.00. A discounted price of $4.00 is available for those 60 years of age and older. The Livingston County Senior Nutrition Program provides both congregate and home delivered meals to the Center. Each day our volunteers distribute approximately 30 meals to the homebound residents in Hartland, Tyrone and Deerfield Townships. Meals are also served at the Center each day and are available to anyone 60 years of age and older. A $3.00 donation is requested per meal. Those under the age of 60 are asked to pay $5.00 per meal. Anyone interested in receiving Meals on Wheels please contact Carol at (810) 626-2139. The Oakland-Livingston Human Services Agency distributes food each month to Low-Income seniors in Livingston County. Our Resource Advocate helps to enroll eligible residents and our transportation driver picks-up and distributes the food to homebound recipients. Provides free monthly food to senior citizens who are 60 years of age or older and reside in Livingston County. There is an income eligibility: One person household $1,127 or less monthly and $1,517 or less monthly for a two person household (this includes your total income from social security, pensions, interest from CD's, investments, etc.). This box of food staples may be enough to help you maintain the same quality of living that you had in the past. For more information contact Carol Ringle at (810) 626-2139. The Emergency Food Assistance Program provides quarterly food for seniors (60 years or over) who are income eligible - $1387 or less monthly for one person and $1867 or less monthly for two people. Again, you must pre-register by calling Carol Ringle at (810) 626-2139. You must show proof of your income (including Social Security, pension, interest from CD's, investments, etc. - whatever you report as income on your income tax. On Tuesdays and Thursdays each week volunteers from the Center go to VG’s Supermarket in both Howell and Fenton to receive their day old baked goods which are distributed at the Center. This is a great resource for our members.